Having grown up here all my life, I am by no means different from most Singaporeans. I have my meals at hawker centres when I can, opt not to buy a drink when possible and regularly consult the refrigerator and kitchen cabinets for cheaper dining options. That doesn’t mean I don’t revel in a rib eye now and then or join friends for a round of drinks (the intoxicating kind), but I make sure I go on a self-imposed poverty mode for the next few days to make up for my debauchery. Like most lower to middle-class Singaporean students my age, the high costs of living in our city culturally engineers us to regulate our expenditures (any movement of the decimal point on our account balance tugs on our minds rather bitterly). Initiate a dinner with friends in the city districts, and it’s likely that the turnout won’t be as receptive. 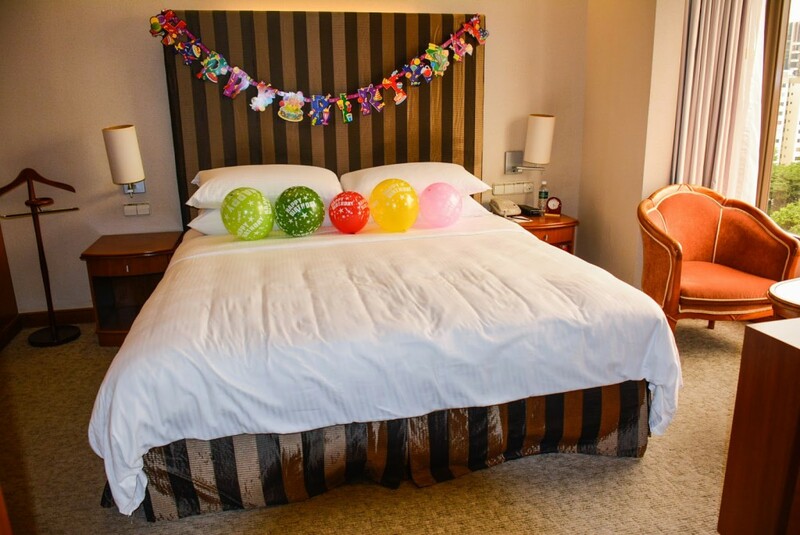 It’s not that we’re all so incredibly parsimonious or dead broke, but splurging what remaining money there is in the bank is better reserved for vacations or birthdays at fancy hotel rooms and East Coast park chalets. Here’s a breakdown of how much I spend a month. I average about $350 on food and drink monthly, $300 if I’m being prudent (I’m not). My phone bills approximate $50, and I pay attention to my data usage to make sure I don’t incur any extra charges. I’m also a fairly light smoker, and fairly light in Singapore costs you an average of $40-50 a month. I spend more on transport than I wish to – $80 a month – and I take delight every time Mothership sensationalises a train breakdown into a ‘news’ article. This figure sometimes takes a bump to $110 because of cab expenditure, something I attribute to peer pressure and a lack of self-discipline. That amounts up to about $550 for necessities (note the careful categorisation of my filthy tobacco habit). Entertainment sometimes burns a hole in my pocket, sometimes it leaves the linen intact. It’s certainly higher in some months, less in others, but I’d ballpark this somewhere around $150 a month. I’m not an avid party-goer nor a shopaholic but I do spend quite a bit on miscellaneous interests and hobbies, namely tech products. I think it’s fairly acceptable that if I said I belong in the somewhat financially sensible category. 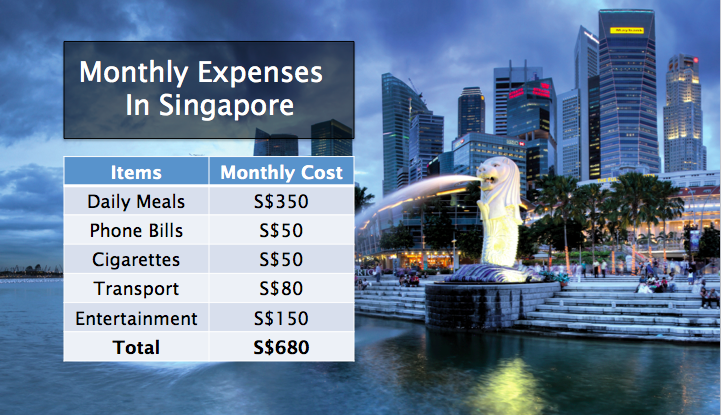 As a university student in Singapore, I spend about $700 a month. I consider this amount to be pretty adequate. Naturally, we all have friends who hit four figures and above, and friends who spend even lesser than myself. Of course, $700 is meagre in comparison to Singaporean working adults who have a completely different range of other costs. Utilities, groceries, rent, insurance, investments, unforeseeable circumstances such as healthcare expenses and repair costs are not taken into account either, never mind savings. Youths today still in schools largely take these for granted. I was fortunate enough to be raised in a financially stable family. Therefore, I haven’t had to juggle work at the same time to pay for my own studies – so even I am not immune to this weakness that I warn you of. Foreigner friends from neighbouring Southeast-Asian countries often bemoan the high costs of living in Singapore. However much they spend here in a month can last them at least two months back home. Anecdotes they may be, but life in Singapore certainly does takes a toll on your finances. Vulcan Post is all about living life with a digital edge, up and coming startups, and people who inspire conversations. Find us at VulcanPost.com.